Orvis, age 21, will be shot in the lung one week after this picture was taken by Matthew Brady in Washington, DC. 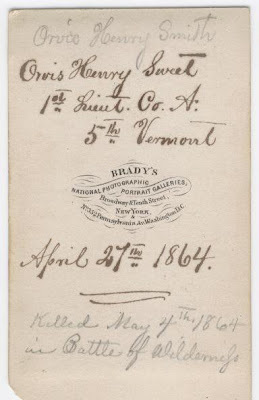 His younger siblings on the family farm in upstate New York (he volunteered from St. Alban's, Fifth Vermont) grew up and after the Civil War moved West to Idaho, Wyoming, Colorado, and California to become lawyers, Congressmen, ambassadors, journalists and teachers. 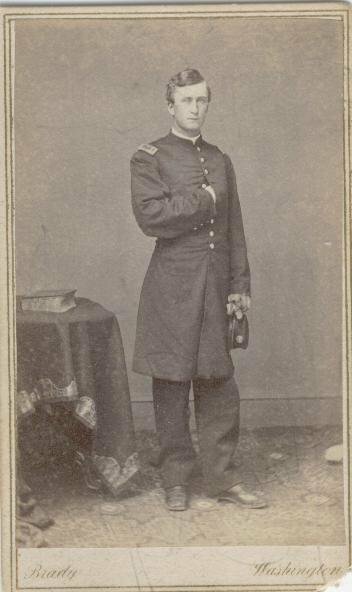 His father, Haviland Livingston Sweet, died earlier in the War, under the leadership of General McClellan. Orvis' uncle , John Charles Closson, volunteered from Michigan and was killed, too. Their sacrifice was not in vain. 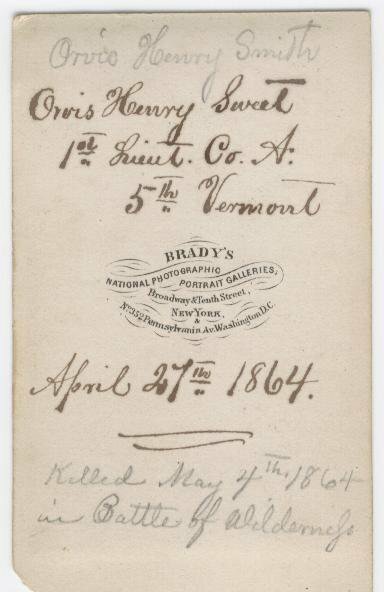 He volunteered while working at a Print Shop in Vermont, where his family had lived on Grand Isle for generations since the Revolutionary War. His ancestors were Pilgrims and Wampanoags. He was a regular kid who lived and died for great things. He fought with his unit through all the major battles of the Civil War, being mortally wounded in the Second Battle of the Wilderness. If you ever watched Ken Burns' documentary on the Civil War, you know how that one was particularly hellish. One of Orvis' younger sisters was Alice Eliza Sweet Link, my great grandmother; she went West after the Civil War and became a teacher. With that haunting music that always brings tears to my eyes, Ashokan Farewell.